This modern Bar Mitzvah invitation on Bright White card stock gets inserted into a Jet Black laser die-cut jacket for an impressive appearance! This modern Bar Mitzvah invitation on Bright White card stock gets inserted into a Jet Black laser die-cut jacket for an impressive appearance! The invitation card is raised printed in your choice of ink colors, and the Bar Mitzvah’s first initial is framed by a triangular cut-out on the jacket. Measures 9-1/4″ wide by 3-3/4″ high. 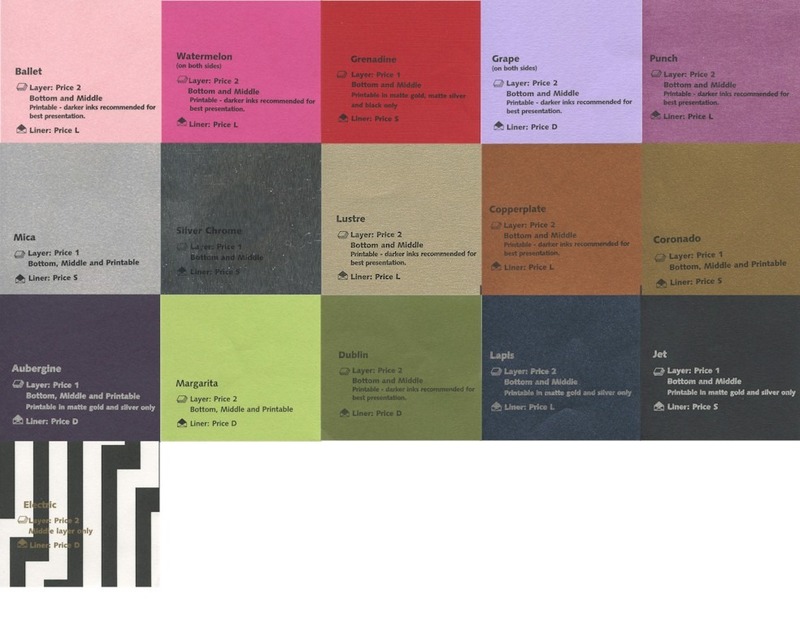 Shown with raised Black ink and lettering style FONRFSX. 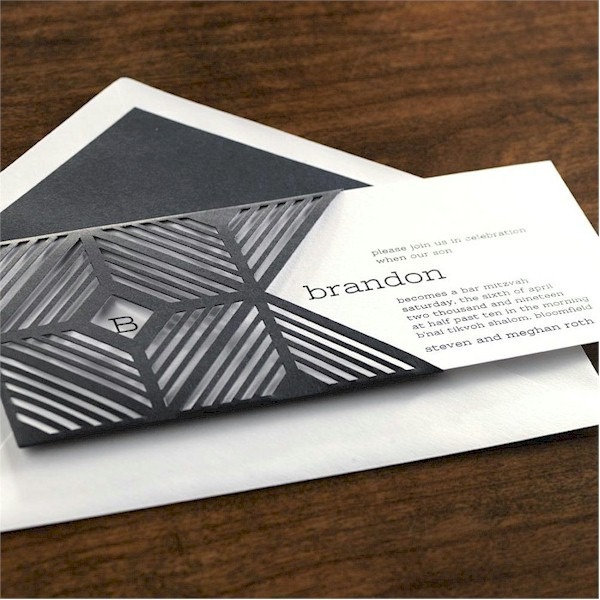 The coordinating Reception enclosures will print on single Jet Black card stock and the RSVP enclosures will print on single Bright White card stock. 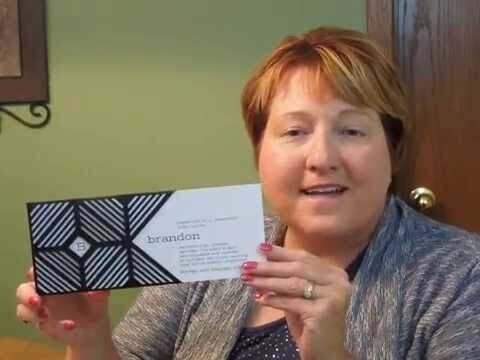 The Thank You notes feature a matching geometric pattern on Bright White folder stock. 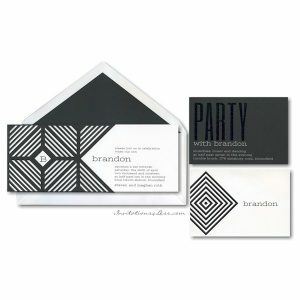 This Bar Mitzvah invitation is accompanied by single plain, Bright White pointed flap envelopes.